Proper dental care is extremely important. Without quality oral health care, there can be negative effects on overall health. Visiting Dr. Tanya Brown for regular check-ups, including proper x-rays and oral cancer screenings, is necessary for optimal oral health. Our professional dental cleanings are most beneficial for plaque build up and stains that might have been missed during brushing and flossing. It is recommended by the ADA to visit a dentist at least twice per year but Dr. Brown may recommend more frequent cleanings based on your individual needs. Besides cleaning and polishing, we will offer at-home suggestions for the prevention of tartar and staining. 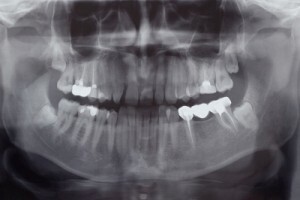 Checkups, x-rays and thorough screenings have the potential to help recognize and evaluate dental and other overall health problems that may otherwise go undetected. For more information about our comprehensive oral exams or to schedule an appointment, please contact our Chesapeake dentist.